I'm not going to lie, these pudding shots require about 75% of your heart and soul. Sometimes you find yourself lost in a daydream pondering the ideal world. 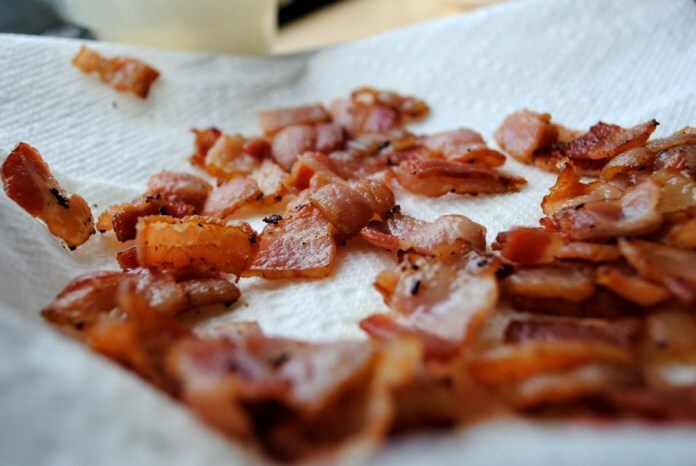 More often than not, that ideal world is full of bacon. Sometimes, depending on the day or your workload, it involves a drink or two. Occasionally, you have the wherewithal to act upon this daydream and you make it happen. Cue: these bacon pudding shots. I'm not going to lie, these pudding shots require about 75% of your heart and soul, a lot of bacon and tons of patience, but they are worth it. 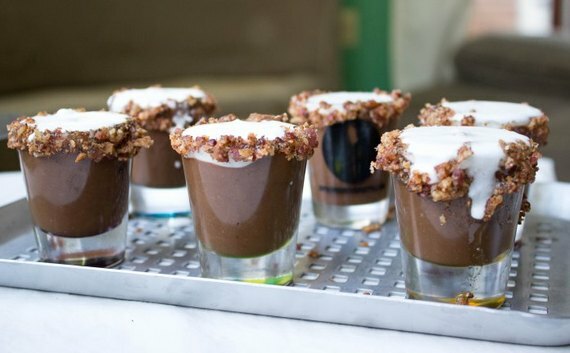 From the rich chocolate flavor of the homemade espresso pudding spiked with enough vodka to taste it but not really taste it, to the salty bacon rim and creamy coconut cream, these shots will get your night started in a deliciously classy way. 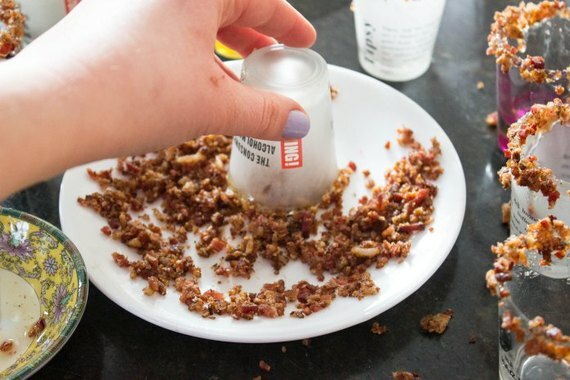 Original post by Analiese Trimber, aka the Bacon Princess, on Spoon University.